GQ with the band FUN! Shot on location with SRQ Locations in Sarasota!…see the video, behind the scenes at FCGC and Harbor Acres. 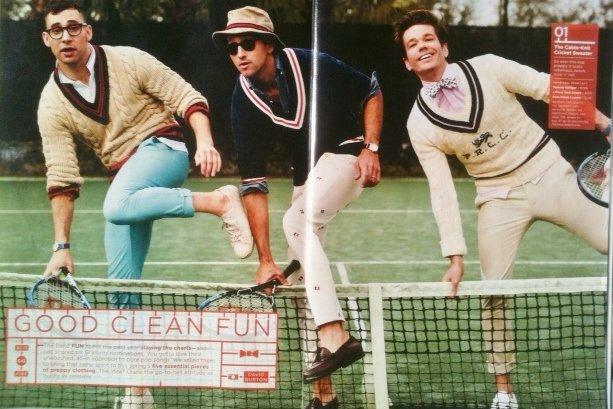 GQ Magazine features the band FUN! in their February 2013 issue. For this shoot SRQ Locations of Sarasota provided the locations, production, transportation for crew plus all catering, airport transfers and supplied photo assistant and stylist assistant. 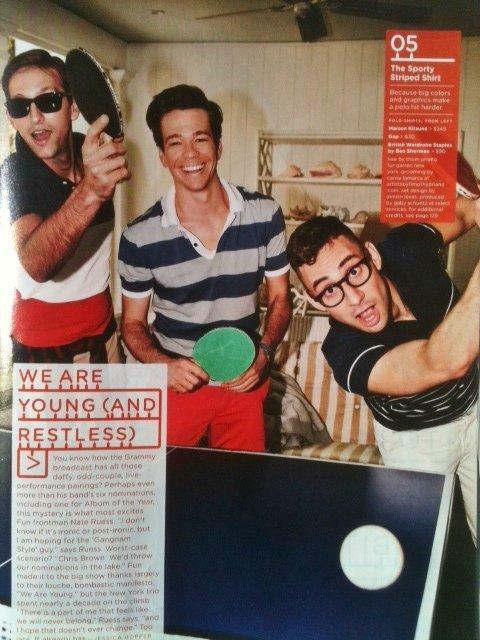 Fun was honored this year with a Grammy for Best New Artist and their song “We are Young” was awarded best song. Fun photos by photographer David Burton of London.